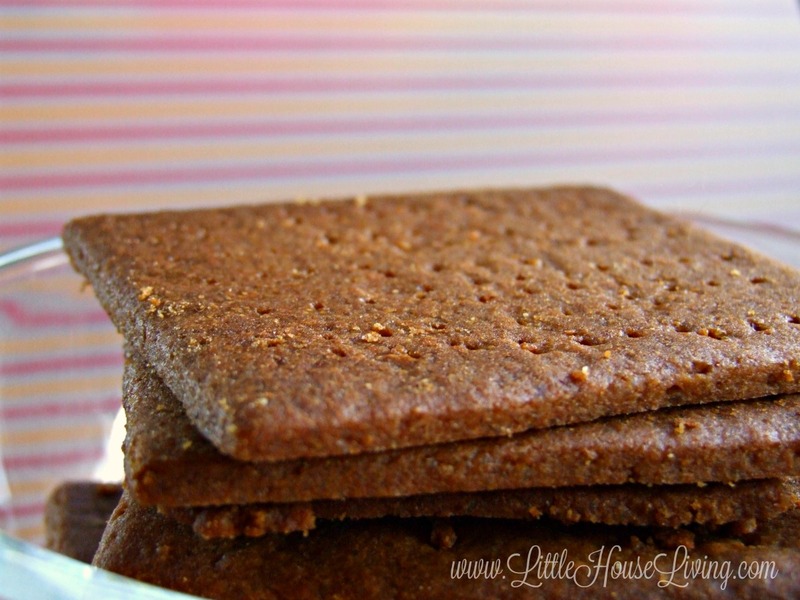 I’ve been wanting to do a homemade graham crackers recipe for quite a while but I wasn’t happy with any that I found. 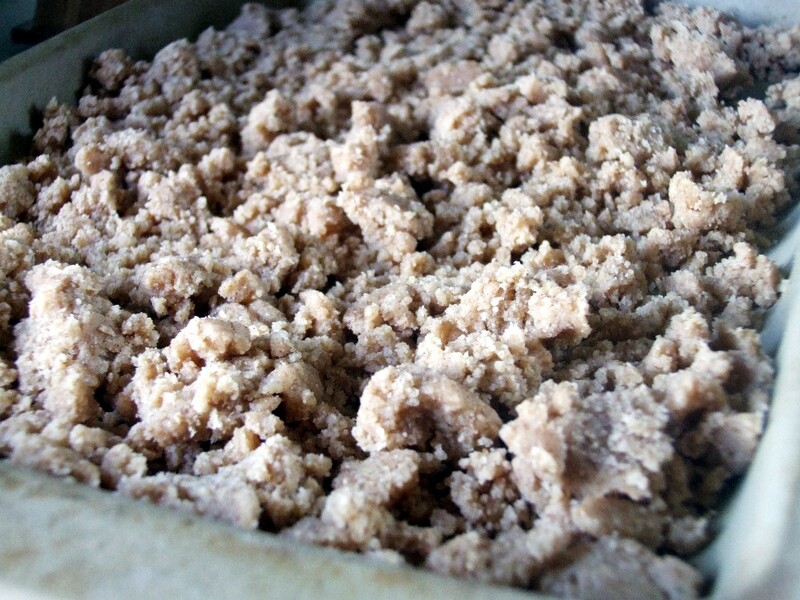 I finally made this one the other day because I really needed some graham cracker crumbs for yet another recipe I want to try! Hubby liked these! I wasn’t too impressed with how long it takes to make the crackers, a few too many steps for me, but I enjoyed making the crumbles that I will be able to use for crusts. 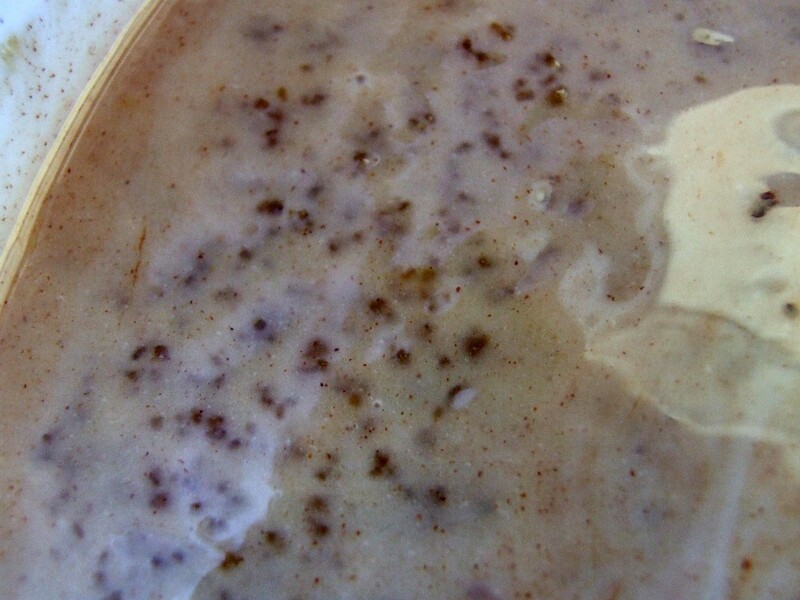 Mix together the honey, sugar, salt, and butter. Add in the rest of the ingredients. Add the flours 1/2 c. at a time so it works itself in well. 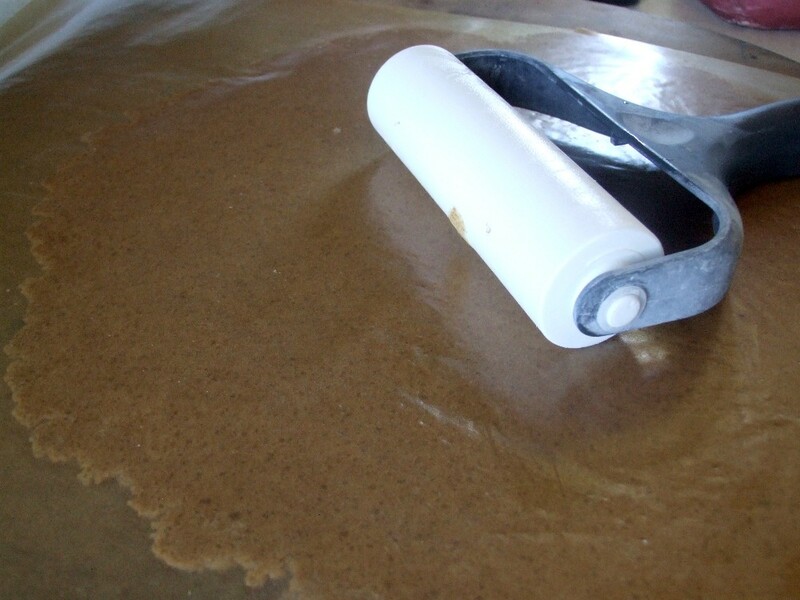 Place the dough in between wax paper or parchment paper and roll out. Cut into squares or any shape you’d like. 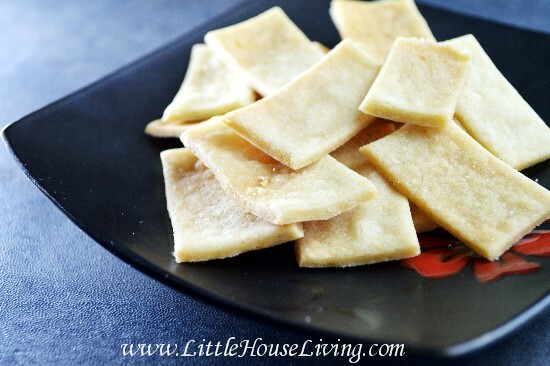 Place the crackers in the freezer for about 15 – 20 minutes to hard up. 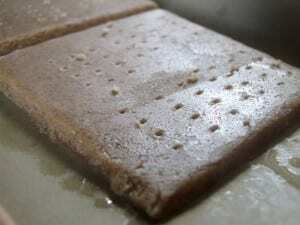 Take the crackers out of the freezer and place on a greased cookie sheet. Poke with fork tines. Bake at 350F for about 4-5 minutes, flip over carefully with a spatula and bake another 3-4 minutes. Watch carefully so you don’t burn. 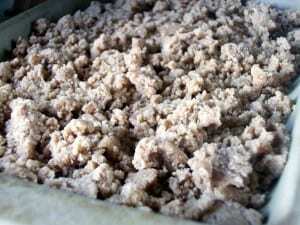 I also made a batch of graham cracker crumbs to put in the freezer for crusts. Instead of all the steps above to make the squares, just place the dough in an oven safe pan and bake at 350F for about 8 minutes. Turn the crumbs over every couple minutes so they get well done. Enjoy as you would store bought graham crackers. I’m guessing these would make a killer s’more! I think that’s a great idea and it will probably work! If you try it, let us know! Ok I just got done making these. I made some on my griddle and the rest in the oven.They were both really good but the ones on the griddle were more pliable and were more like a cookie but definitely good. The ones in the oven were crisper and snapped in half more like a cracker. Either way I will eat too many of them although I am in the process of eating all the broken ones which I understand are less fattening due to calorie-leakage. Also, leave yourself plenty of room to get the spatula in between cookies because if you don’t get the spatula completely under them to turn, they will bend and break. Made them yesterday. Very good!! First time I have ever made graham crackers. Will be making these again! My children love graham crackers, but I’ve never been a fan (even when marshmallows and chocolate are involved!) Can’t wait to try these. Thanks! 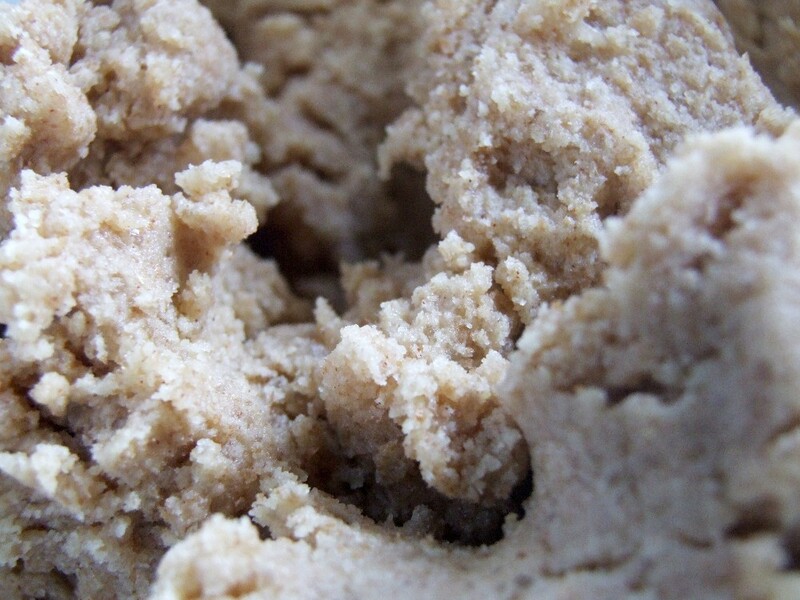 Could you make these using all whole-wheat flour? We don’t have any other type of flour on hand. 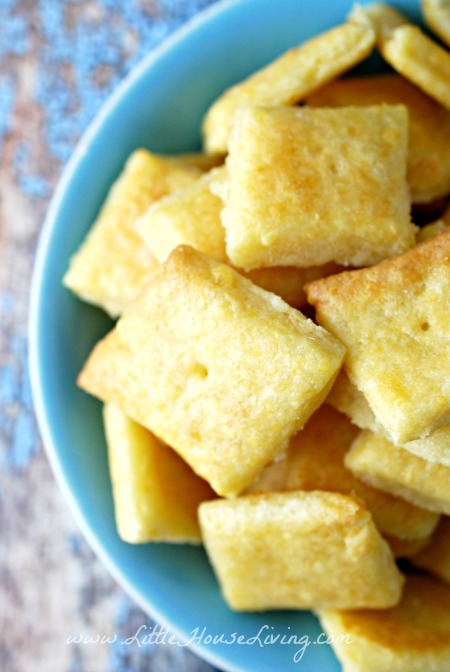 I really REALLY want to make these as a treat for my kiddos (who am I kidding, myself too)!! What about all All-Purpose flour :/ ?? These look fabulous! 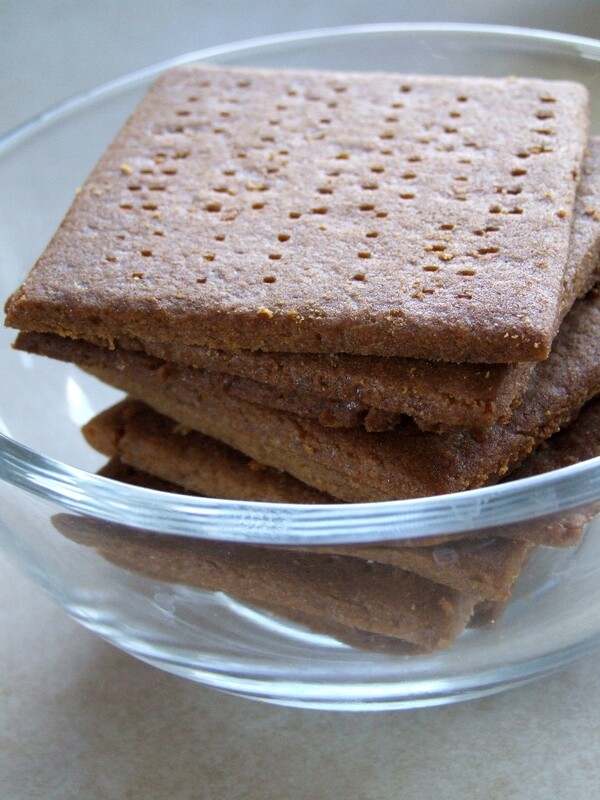 I thought you needed graham flour to make graham crackers…? 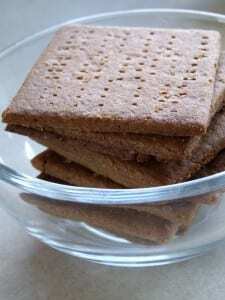 I thought graham crackers were made with graham flour? Do you know how I would substitute for that? 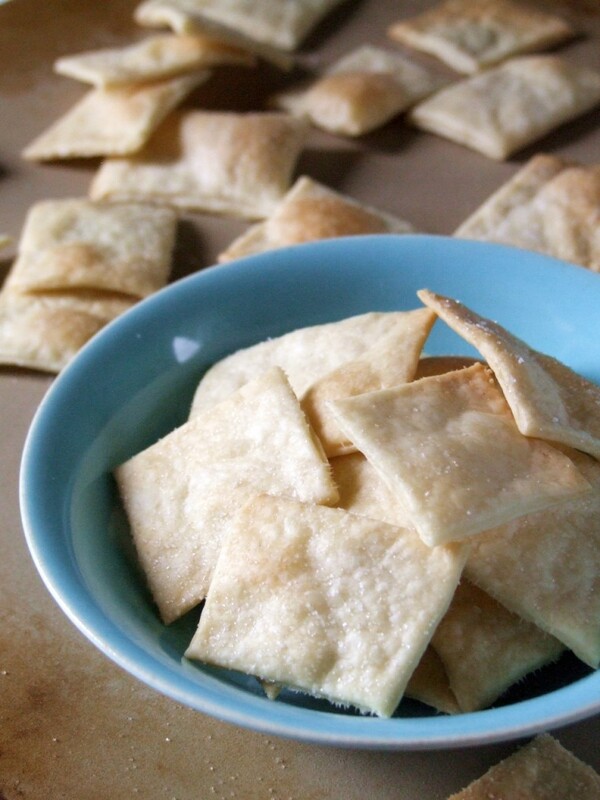 I made these Gram Crackers today! Oh my they are so good and very easy to make! My daughter (16mo) just loved them! I didn’t put in the honey, cause of her age. I made these on Thursday and they were completely gone by Sunday. I’m currently making a second batch. These taste amazing and are easy to make! 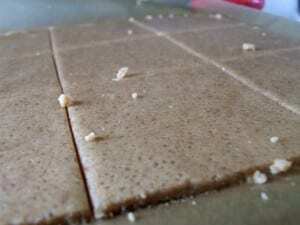 To make these wheat gluten free, I used Manis flour from Azure standard. Works great. I have made these twice and they are very yummy! I used whole wheat pastry flour for the flour. I also subbed maple syrup for the honey since we were out. We used small cookie/cracker cutters for these and didn’t flip them since they were pretty small. They turned out great! 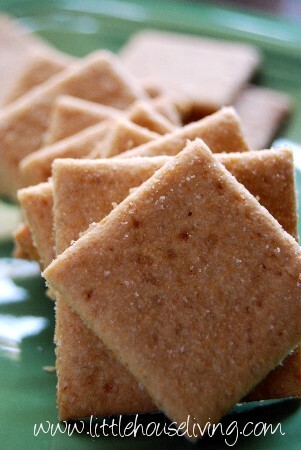 Thank you for mentioning that you can just crumble them on a pan if making them for graham cracker crusts! I would have never thought of that, and it saved me a lot of time at Thanksgiving. I wouldn’t store them longer than a week or two or they may start to taste stale. Personally I keep them in the fridge.